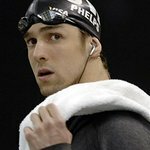 Michael Phelps might be excellent in the pool, but he will have another sort of challenge when he competes in the Sunflower Children 2nd annual Texas Hold’em Charity Benefit on November 21. Sunflower Children is a humanitarian aid organization that provides survival and development care for the forgotten children of the world. Their efforts encompass medical, nutritional, psychological, educational, adoption and other humanitarian support that nurtures survival, health, growth and hope for orphaned, disabled, abandoned, refugee and impoverished children. Joining Phelps at the event – which boasts a host committee that includes Helena Houdova, Roberta Armani, Russell Simmons and Lane Carlson – will be Laura Bell Bundy, Poker Pro Lee Childs, and actors Michael Kelly (Changeling_), Ben Bailey (Cash Cab_), Ana Ortiz (Ugly Betty_), Mark Indelicato (Ugly Betty_), Malinda Williams (First Sunday), and David Zayas (Dexter). Tickets to the event – which will be held at Gotham Hall in New York – are available from the Sunflower Children website.